Anyone who knows me, knows I love to cook healthy food at home and I very rarely eat out. What I love most about cooking at home is knowing exactly what ingredients are in my food so I know that its not full of garbage and chemicals. So today I'm doing something a little different, something many of you have asked for, and sharing some of my"recipes" on the blog. I say "recipes" because Im kind of an organic cook who just rolls with whatever ingredients I have around. usually I never make the same dish exactly the same way twice. Today's is one that I always keep the same though. Today's Recipe is only 5 ingredients and it's one of the staples in my fridge at all times! 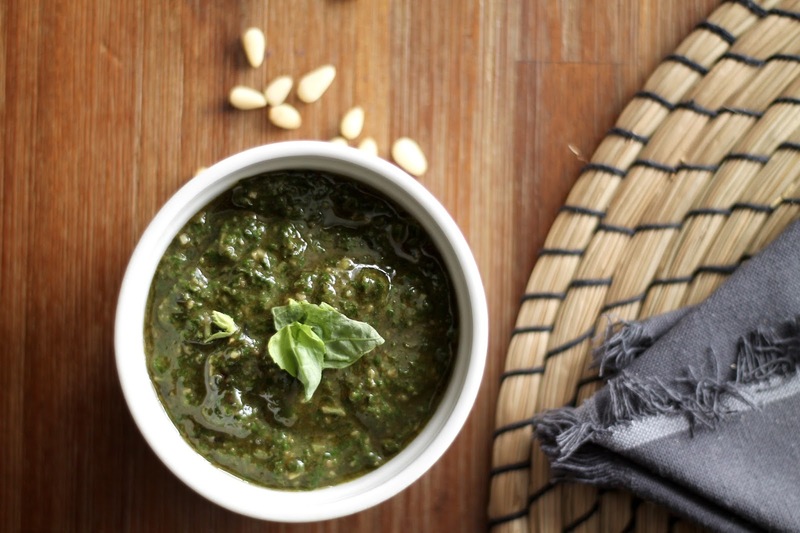 I make this cheeseless pesto in bulk since I don't eat dairy and it goes great on steak, salads or whatever else I please as the week rolls on. It keeps for weeks when refrigerated which is a major bonus! 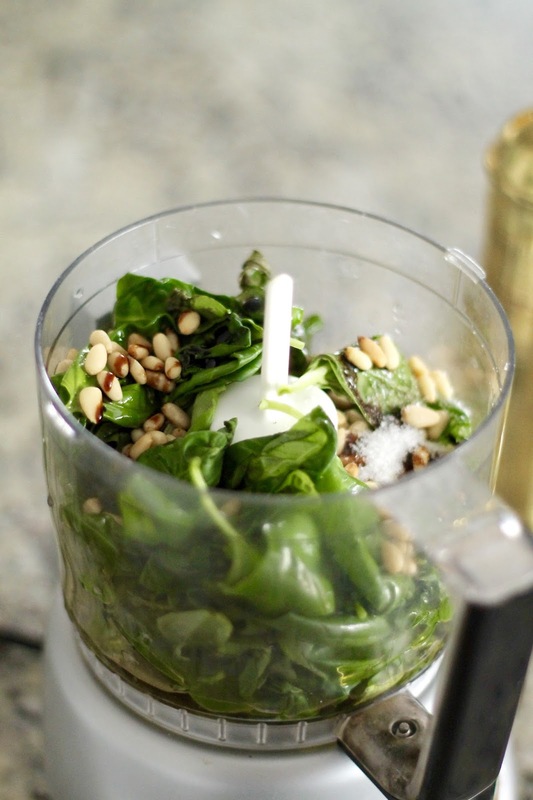 Throw all the ingredients into a food processor and chop for about 20 seconds. The balsamic adds a bit of sweetness that most pestos don't have. 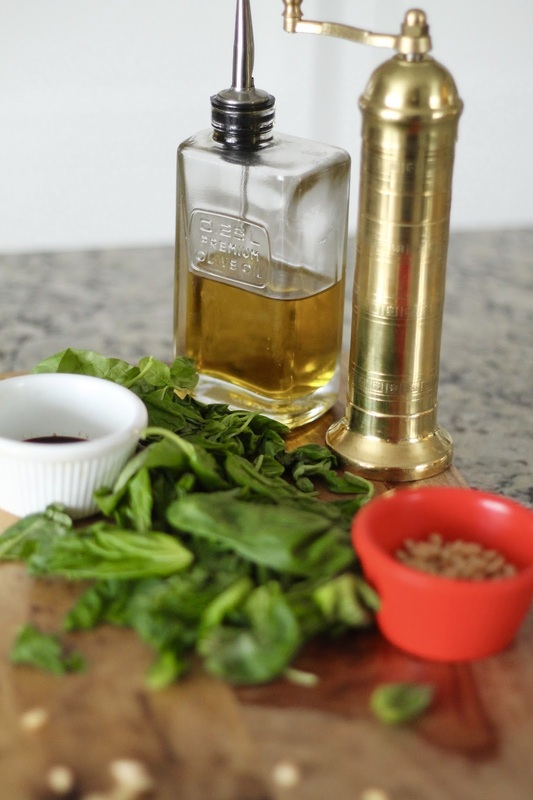 If you prefer a more herby taste, maybe leave out the balsamic. Tell me what you guys think? Want to know more of my recipes? Let me know. Yum yum yum!! 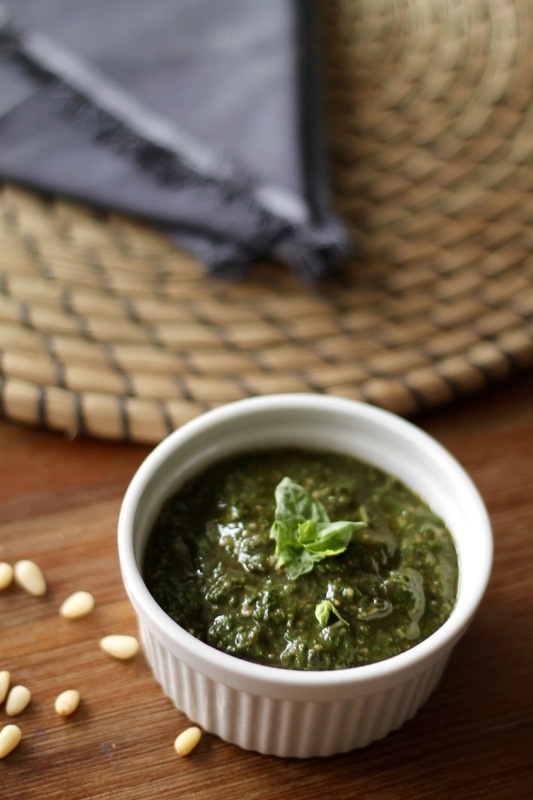 I could eat pesto on anything :) And I agree, if you aren't putting cheese in, balsamic adds a really nice flavor that rounds out the pesto. SO GOOD! Colorful Workout Clothes to Motivate You Now! What to Wear to A Blogger Conference.